The winter holidays are going to be here before you know it. And here at Earth Divas, we already have Christmas on our minds. It’s our busiest time of year, and also one of the most wonderful because the end of the year is when we turn over all our profits back to our artisans. It’s an experience that no one involved ever forgets. I wanted to highlight some of the new holiday decorations our artisans created for us this year. They’re fun, handmade, colorful, and every single one is unique and special. 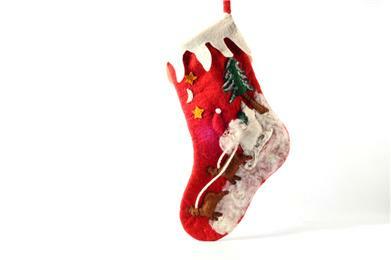 I love this handmade stocking of Santa being pulled by two of his reindeer. 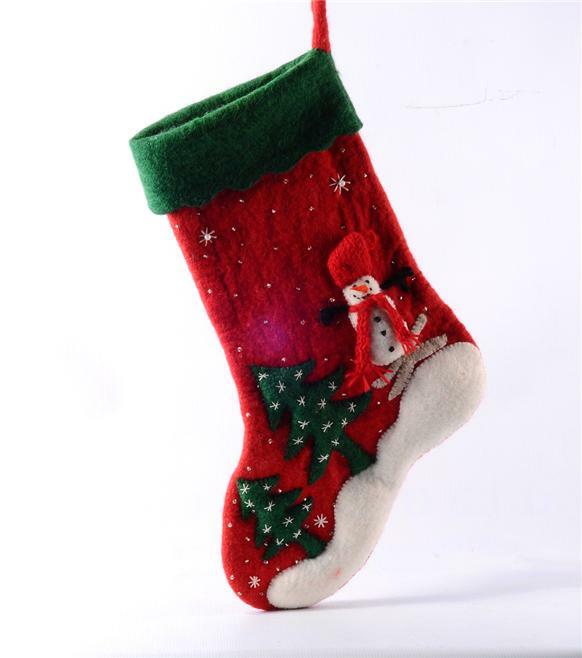 You can see this stocking here. 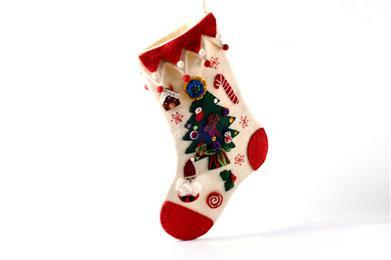 We also have several different stockings this year. I’ve highlighted a few below, and you can see all of our new fair trade holiday decorations here. 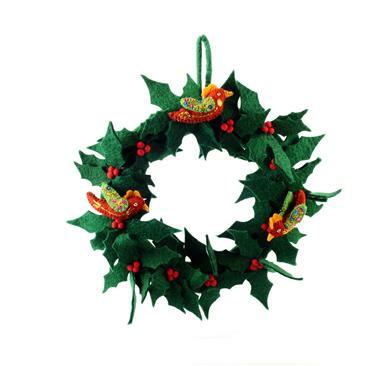 This colorful, handmade felted wreath would add a splash of color to your front door. 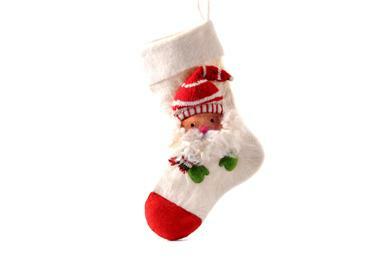 And right in the middle, Santa’s waiting to welcome your guests! 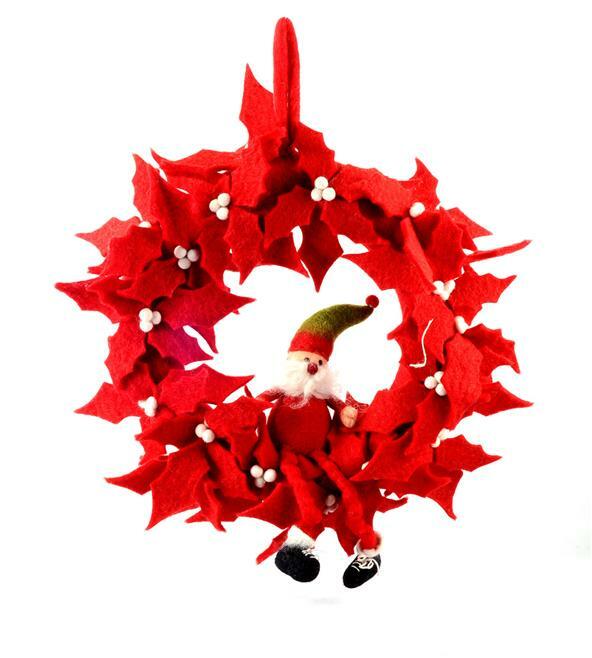 You can see this wonderful wreath here. Below is my favorite wreath we have in right now. I love the bright green holly leaves, the red berries, and the beautiful handmade birds! You can see this wreath here.